This annual overnight multisport race has been organized by the Aberdeen Boat Club since 1985 and the Club is delighted to announce the 32nd running of the race in 2016. The Four Peaks Race is about peak performance. With the average boat taking 24 hours last year, the race requires landings by transfer craft or swimming, speed and strategy on land over rough terrain, and fine seamanship and sailing skills on the water. Tactics, practice and stamina play a big part, and rewards for all bring competitors back again and again for both the excitement and the camaraderie. This unique sporting challenge is considered one of the most testing competitions in the region. 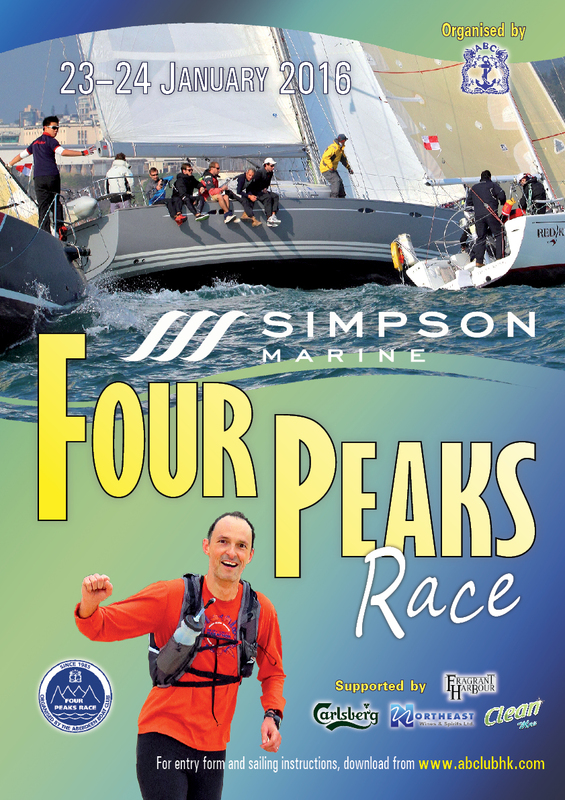 It requires the highest levels of fitness and seamanship from the competitors and the best of race stewarding and safety management from the organizers. 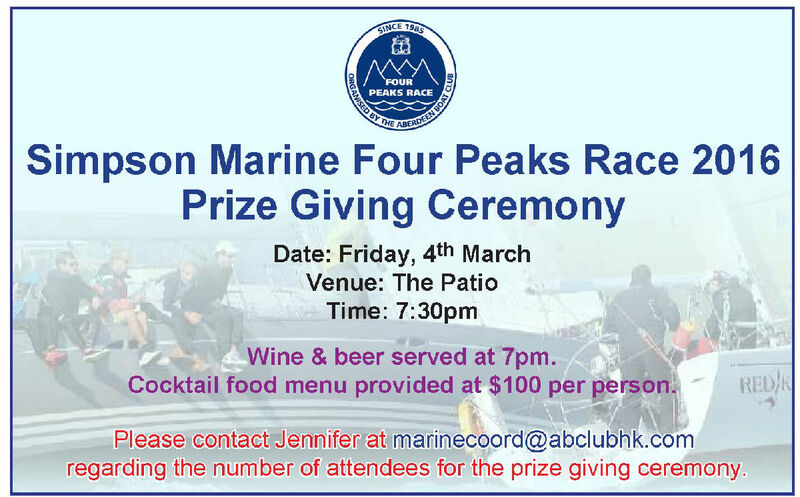 The ABC has managed to secure a re - sail date for the 2016 4PR on February 27th and 28th. We appreciate that some teams or individuals may not be able to participate on these dates, and indeed that it clashes with the China Sea 200 Dash Race organised by the RHKYC, however, having considered several options, this was the most secure date available to us. Given the challenge in getting permits for this event, we are delighted that the AFCD has been able to confirm the new dates so quickly, however, the one downside is that we are restricted in the hours we are allowed access to Ma On Shan. As such, the 4PR race committee has decided to move the Div A2 entries to Division B, in order to meet the AFCD requirements. We understand that this may not be ideal for many, including those runners geared and trained to run Ma On Shan, however, we would appreciate your understanding in this matter given these rather exceptional circumstances. A Notice to Competitors will be sent out directly, detailing the advised changes. In the meantime, as I am sure there will be several changes to crews and runners, please feel free to drop an email to the club if you are looking for additions to your team, or looking for a team to join. Please submit your revised Crew lists to Jennifer in the Marine & Sailing Office as soon as possible. Further communications to competitors will follow regarding Skipper's briefing and other important information.